Wi-Fi has become the part of our technical world. Where ever we go, the first thing that pops up in our mind ‘is the place connected with Wi-Fi?’. A Wi-Fi network gives one the freedom of being connected to the Internet not just on their PC or laptop, but also on their smartphones. One can access the Internet on their laptops, mobiles, tablets, etc. simultaneously from different locations within the same network. However, wireless connections do have their share of drawbacks such as slow data transfer rate and dropped connections. 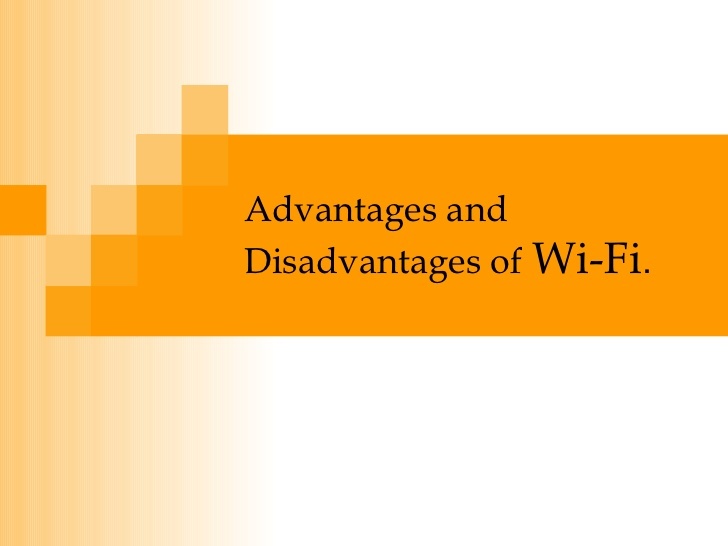 Are you too wondering about the advantages and disadvantages of Wi-Fi technology? Let us find out more about Wi-Fi technology and its benefits as well as drawbacks. Wi-Fi advantages tend to be make life convenient and easy for any Internet user. The most convenient of all advantages of using a Wi-Fi network is being free from wires. All you need is a wireless router and an adapter to be plugged in at an optimum location and you are good to go within a particular limit range. Wi-Fi network allows not just one, but multiple users to be connected to the Internet simultaneously. Use of Wi-Fi makes it very comfortable to connect multiple devices throughout a building during a conference, exhibitions as well as international summits. It provides mobility to the user as Internet can be accessed anytime, anywhere at little or no cost. For example, at airports, coffee shops, shopping malls, etc. It cuts down on costs for many companies where a single wireless network helps run Internet on numerous locations as well as hard to reach areas of a building. Wi-Fi helps improve productivity for many organizations as it helps employees work at their convenient location. Thus, work can never stop and employees continue to give their best, irrespective of their location within the official premises. The cost of installing a Wi-Fi network is considerably less than installation of a wired counterpart. The matter of security is of concern as some Wi-Fi networks use encryption technologies that can be easily hacked. However, many networks now use advanced encryption methods that are a difficult to be compromised. The range of a Wi-Fi network is 802.11g typically, means sufficient for a home. However, for larger areas, one needs to install repeaters or purchase extra access points. The speed may be slower on most wireless networks and in certain places may require a throughput of wired network. High-density Wi-Fi points may interfere with adjacent channels, affecting the quality of the connection. One needs to secure their wireless networks with hard to crack Wi-Fi passwords. This is because Wi-Fi can pass through walls and you do not want eavesdroppers from feeding on your bandwidth. The reception of wireless connection varies from room to room. Thus, one may have problems with connectivity and speed in different areas of the same house. These are some of the advantages and disadvantages of Wi-Fi technology. The advantages definitely outweigh the disadvantages as they provide ease of access and mobility to the user. With advancement in technology, the disadvantages of Wi-Fi are now turning obsolete gradually.